Families often wonder when it is the right time to move their loved one in need of memory care into a senior living community. Unfortunately, there are no textbook answers to this difficult question. Making the choice to place a family member into a community is a very personal experience and one that can never be taken lightly. When someone we care about is struggling with caring for themselves due to a cognitive concern or a memory impairment, it can be very concerning. Families are under a great deal of stress worrying about what may happen if their spouse, mother, father, or grandparent is left alone. Some seniors require more than can be offered at home as they can benefit from more structure and programming while others need socialization and stimulation. There is no cookie cutter answer to this complex challenge. Being proactive in researching communities is helpful. Exploring options is important as not every setting works. Families should pay close attention to the staff who will be helping their loved one as well as the set up of the community, the cleanliness of the community, and the “feel” they experience when they see it firsthand. Spending time observing a program or a meal can give a caregiver a good sense of what the community is like and how well their loved one would fit in. Asking lots of questions and setting expectations for your loved one can also make a difference. 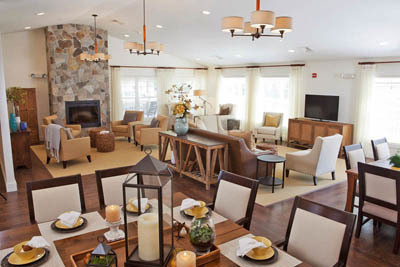 The team at The Watermark at East Hill meets often with families in need of support and assistance in order to talk about The Villa, the memory care home on East Hill’s campus. 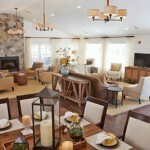 The Villa is a unique place; one that is specifically designed to provide a personalized and loving experience for residents in a close-knit setting. The Villa is intentionally home to a small number of residents who come together as a family. 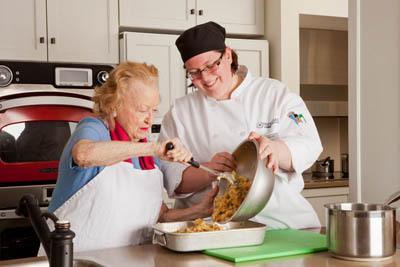 From cooking and cleaning together to going on trips and engaging in various programs, residents are able to live as independently as possible while enjoying the care and oversight of a team of professionals who are on hand to help in any way needed. Through the Thrive Memory Care program at Watermark, our team challenges traditional assumptions about what is possible and focuses on what residents can do, never what they cannot. At The Watermark at East Hill, we are committed to maintaining an extraordinary and innovative community where people thrive and we are happy to assist families who are contemplating a move for their loved one. 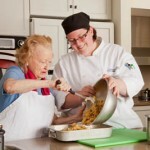 We see our residents for who they were before they came to us and we treasure who they are now that they are with us. Our approach to providing the best possible care and service is to partner with each resident and their family to ensure a positive and healthy experience.